found in the Greenland ice record. Its duration was estimated to he only about one century. Oxygen isotope measurements performed on both the GRIP and GISP ice cores indicated that air temperature increased by at least 7°C over Greenland during this rapid warming event (Dansgaard et al., 1993; Taylor et al., 1993a; Taylor et al., 1993b). Oxygen isotope measurements in Greenland ice also demonstrate that a series of rapid warm-cold oscillations (called Dansgaard-Oesehger events) punctuated the last glaciation (Dansgaard et al., 1993). These oscillations were correlated with SST variations in several North Atlantic cores. A conspicuous feature common to both the ice and the ocean records is a bundling of the millennial-scale Dansgaard-Oesehger cycles into longer (7000 to 10,(XM) years) cooling cycles, each terminated by an abrupt shift from cold to warm temperatures. The most important finding of this correlation is the close relation between the ice core temperature cycles and one of the most prominent features of North Atlantic records, the Heinrich events (Figure 14.11). Every 7000 to 10,000 years, during times of brief sea surface cooling, exceptionally large discharges of icebergs from the Laurentide and European ice sheets took place, displaying conspicuous layers of dctrital rocks in deep-sea sediments. Accompanying these events were large decreases in planktonic foraminiferal lsO content, decreases that evidence lowered surface salinity probably caused largely by melting of drifting ice (Bond et al., 1993; Bond et al., 1992a). 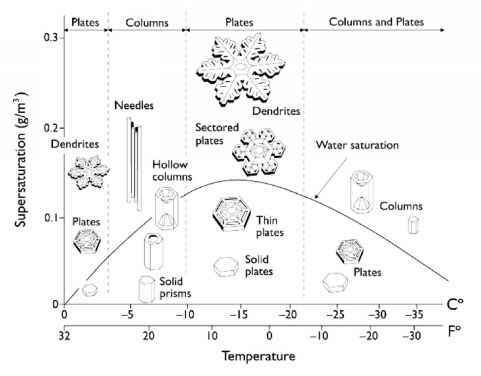 The bundles form a series of sawtooth-shaped cycles, each defined by a succession of progressively cooler intcrstadials (Figure 14.11), probably reflecting a progressive strengthening of the cold polar cell. The cooling trend ended with a very rapid, high-amplitude warming. The impact of Heinrich events on the climate system extends far beyond the northern North Atlantic area; at the time of major iceberg discharges, strong vegetation changes have been detected in Florida (Grimm et al., 1993), and changes in loess grain size, which were associated with atmospheric circulation changes, have been detected in China (Porter and Zhisheng, 1995). Figure 14.11. Variations of the 8}hO in the GRIP ice core interpreted in terms of air temperature variations (Dansgaard et al., 1993) compared with variations of SST and <5,HO variations of the planktonic foraminiferal species N. pachydermia in core ODP 609 from the North Atlantic Ocean (Bond et al., 1993; Bond et al., 1992b ). Each millennial-scale 5,80 oscillation observed during the glaciation in the GRIP record is a Dansgaard-Oesehger (D-O) event. The D-O events are poorly represented in the marine record, which has a lower resolution than the ice record. Heinrich events, w hich have been defined in North Atlantic sediments as layers of ice-rafted detritus reflecting a massive iceberg discharge, coincide with the coldest events of the glaciation recorded in the GRIP ice core (Bond et al., 1993). During the glaciation, the warm event that follows an Heinrich event marks the beginning of a 7,000-10,(XM) year cooling cycle that ends by a new massive iceberg discharge. Such a cycle encompasses several D-O events. ice-rafted material deposited during Bond cycles shows that they contain basaltic glass derived from Iceland and grains with hematite coating (mostly quart/ and feldspar) derived from any of the extensive red bed deposits that are found in Greenland, in Sval-bard, in the Arctic Ocean islands, and near the Gulf of Saint Lawrence. In the Irminger Basin, the last glacial period was also characterized by numerous periods of increased iceberg discharges (Figure 14.12), originating partly from Iceland, as attested to by the presence of dark volcanic glass. A comparison with several mid-latitude sediment cores showed that ice-rafted material corresponding to the Heinrich events was deposited synchronously from 4() to 60°N within the error of AMS I4C dates and bioturbation effects (Elliot et al., 1998). The more-frequent iceberg discharges correspond to instabilities at higher frequency of the coastal ice sheets and ice shelves in the Nordic area. By contrast with the mid-latitudes, the foraminifcra content increases with the lithic content of the Irminger sediment (Figure 14.12). This is interpreted as reflecting retreats of the sea-ice edge synchronous with periods of iceberg discharges. The volume of injected mcltwatcr was large enough to decrease glacial NADW formation (Kissel et al., 1997), and the associated reduced northward heat transport resulted in the Dansgaard-Oeschger temperature oscillations (Paillard and Cortijo, 1999). A comparison between high- and mid-latitude sediment records of the North Atlantic Ocean suggests that the Heinrich events and the more frequent detrital events related to the Dansgaard-Oeschger cycles correspond to two oscillating systems: the massive iceberg armadas - which arc released from large continental ice sheets every 5 to 10 kyr - and the more-frequent instabilities of the coastal ice sheets in the high-latitude Nordic regions, which occur every 1.2 to 3.8 kyr. At the time of the Heinrich events the synchroneity of the response from all the Northern Hemisphere ice sheets attests to the existence of strong interactions between the two systems (Bond and Lotti, 1995; Elliot et al., 1998). However, in the mid-latitudes of the North Atlantic Ocean, the volcanic debris originating from Iceland systematically precede the carbonate brought by icebergs released from the Laurentide ice sheet (Figure 14.13). This suggests that the relationships between the European and the Laurentide ice sheets were complex. The changes in distribution of SST and SSS in the North Atlantic Ocean between 40 N and 60 'N show that the mcltwatcr input during deposition of Heinrich Layer 4 resulted in a 1-2 kyr temperature decrease of about 2 C and a salinity decrease of 1.5°/ooto 3.5%obetween 40°N and 50°N. Sites north of 50yN did not experience significant salinity variations. A much larger area was affected by the reduction in SST. The amplitude of the SST shift was, however, much smaller than the atmospheric temperature changes measured at GISP and GRIP sites (Cortijo et al., 1997).